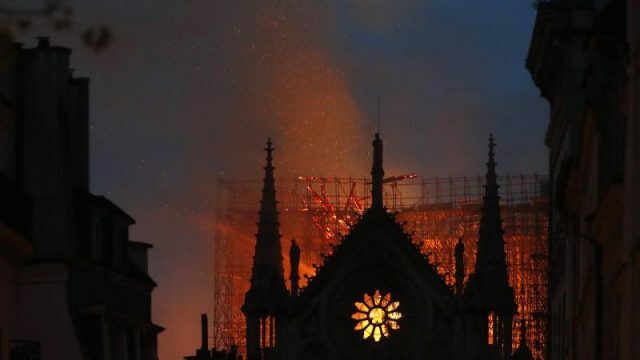 With 600 million euro now raised to fix the Notre Dame, it’s clear that we’ve illuminated a serious flaw in our thinking, and in our collective empathy. This year, HBO’s Band of Brothers turns eighteen. To celebrate its birthday, I revisited that theatre of war, only to discover that it hasn’t aged well. Endless war has been normalised, and we’re crazy? This morning, Donald Trump visited Iraq. While we may nitpick at his reasons why, the fact that that war is still raging should drag our focus. Donald Trump’s posturing to honour the flag whilst honouring the fallen continues the delusion that America was born on. That war, in all its forms, is good. A hideous aspect of endless war is the fact that we’ve got comfortable with it. I say it’s time we normalise the opposite. As the war in Syria becomes all the more serious, it’s easy to blame Donald Trump. However, we’d be wrong in doing so. It’s almost been 50 years since I fought in the Vietnam War, 50 years since I shot that man for this country. However, while he’s buried and gone, he’s with me too. I think it’s safe to say that the costumed, albeit violent Berkeley protest represents the culture war in the US. Confused, shallow and vain. As a veteran returning home, I was struck by the alienation and isolation, and the anger I felt, not just toward myself, but toward the innocent questions of others. In 2016 Australia, fear is not an emotion, but rather an idea. As my father taught me, Europe looks to the next war, as the past frequently shadows the present. Nadia Murad, an escaped captive of IS is on our shores to speak with Malcolm Turnbull; but it is the crimes that she has faced that should be the lasting lesson. In the spirit of the season, we have a message from a very special person to you and yours. Merry Xmas! TBS Editor Mathew Mackie struggled to find a way to properly honour the meaning of Remembrance Day, until he put himself in their shoes. Ah, Sunday again, Richard Jackson’s Long Reads faces cold cases, war correspondence and the position of the black man in US society. TBS fave Paris Portingale finds war pointless and horrible and wasteful, but sees a reason to stop, remember and celebrate this Anzac Day.